Gadgets for health-conscious consumers abound. The 2012 Consumer Electronics Show in Las Vegas has wrapped up, but not before 153,000 people tread its floors covering the equivalent of 35 football fields of exhibits. For days not spent doing such substantial walking, attendees could also find a plethora of health gadgets and platforms exhibited at the show. Here's a rundown of some of the more interesting ones. It uses four sensors to capture more than 5000 data points per minute and measures things like Galvanic Skin Response (an indication of your stress level), calories burned, amount of activity and quality of your sleep. To support her partnership with the company, Jillian Michaels, the fitness guru known for her drill sergeant-like antics on the TV show The Biggest Loser, turned out at CES to tout the BodyMedia device and platform. It is similar in that it also monitors Galvanic Skin Response, caloric burn and sleep, but it throws heart rate into the mix, which some fitness enthusiasts will appreciate. Not only that, but what makes Basis different is you can wear it 24/7 on your wrist, as opposed to the many arm bands, chest and head straps on the market for body monitoring. The battery lasts for a week and it looks stylish. It becomes available in a few months. It is the premier way to track your sleep. Other gadgets are available that track the quality of sleep (usually by sensing how much or little your arm thrashes around at night) but what makes Zeo fantastic is that it actually measures your brain waves via a soft headband you wear while snoozing. I’m in the middle of testing this device and love how it shows me exactly how much time I spent in the various stages of sleep: light, REM and deep. 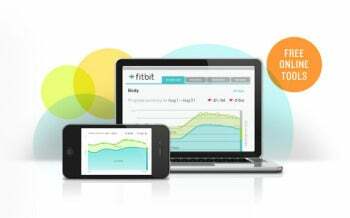 It just unveiled a new health and wellness cloud platform that integrates not only data from Withings products like its cool Internet-enabled scale, but also other non-Withings fitness tracking apps, sites or connected devices. The platform is one example of what looks like a trend toward companies trying to be central hubs for all things health related. As another example of a platform trying to converge people’s health data in one place, Careverge is a website that tailors health-related content to a person’s age, interests, and concerns. Not only has it partnered with big organizations such as Autism Speaks and health video site HealthGuru, it has social features that let you interact with others who have similar concerns. It also includes gamification and lets you hook up to its platform self-tracking devices like some of the ones listed here. It is a new Wi-Fi Smart Scale similar to the Withings Scale that sends data about your weight, percentage of body fat and BMI to an online platform where you can track your body metrics over time. You can also set weight goals, log food and workouts, earn badges and connect with others using its social features. It is a new website for finding health insurance, and is free to view. It partners with the nation's leading individual and family health insurance providers and provides free health insurance quotes and lets you compare plans and apply online. It was recently named to Forbes' "Most Promising Companies" list. And even car manufacturers want you to be healthy. At CES, Ford Motors announced a collaboration with Microsoft, Healthrageous, and BlueMetal Architects to bring health monitoring into cars and showed off a prototype of a future health system. The system will be able to capture biometric data from devices such as pacemakers and glucose monitors, and will also be able to accept voice input from the driver.